Born 23 December 1980 in Cairo, Egypt, Wael Ghonim is an Internet activist, computer engineer and since January 2010 the Head of Marketing of Google Middle East and North Africa. In 2011, he became an international figure and energized pro-democracy demonstrations in Egypt after his emotional interview, following 11 days of secret incarceration by Egyptian police; for investigations regarding him being the admin of a Facebook page “We are all Khaled Saeed”, which is thought to be one of the main reasons that sparked the Jan 25 revolution. 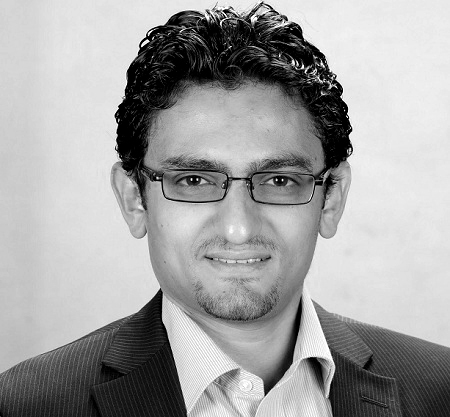 Wael Ghonim was born to a middle-class family in Egypt and grew up in Abha Saudi Arabia until he was 13 years old, then he moved back to Cairo, currently he resides in the United Arab Emirates. He earned a BS in computer engineering from Cairo University in 2004 and an MBA, with honors, in marketing and finance from the American University in Cairo in 2007. Wael’s career to date has included a period as a consultant to the development of the Egyptian e-government portal. He also helped in the launch of Islamway, one of the most visited websites in the Arab world. currently and since January 2010, he works as the Head of Marketing of Google Middle East and North Africa based at Google’s UAE office in Dubai Internet City in Dubai. Role in setting the stage for the revolution. After Ayman Nour, leaked the photos of Khaled Said’s dead body on June 10, 2010, Wael Ghonim, picked up the news and set up the famous “We are all Khaled Saeed” facebook page, which played a key role in moving and integrating the protests of the 25th of Jan revolution. Prior to that, Ghonim also set up the official campaign website for opposition leader Mohamed ElBaradei and volunteered as a tech consultant for other opposition groups, according to Ziad Al-Alimi, a senior aide to Mr. ElBaradei. Ghonim and ElBaradei then concurrently campaigned for the coming November 2010 Egyptian election and built up an opposition network in support for ElBaradei. This network included the April 6 Movement, the Muslim Brotherhood, and the independent labor unions now making up the bulk of the protests. Contrary to popular belief, the protests weren’t spontaneous or even tipped off by high food prices, but rather meticulously planned by Ghonim and the “Revolutionary Youth Movement,” with members drawn from the opposition network ElBaradei had been building since early 2010. The date January 25, 2011 was specifically picked after the uprising in Tunisia played out. The same day, Ghonim appeared on the Egyptian channel DreamTV on the 10:00 pm programme hosted by Mona El-Shazly. In the interview he praised the protesters and mourned the dead as the host read their names and showed their pictures, eventually rising, “overwhelmed,” and walking off camera. In the interview, he also urged that they deserved attention more than he did, and calling for the end of the Mubarak regime, describing it again as ‘rubbish’. He also asserted his allegiance to Egypt, saying that he would never move to the United States, the homeland of his wife. Ghonim is married to an American and has two children.